Hi everyone and welcome. 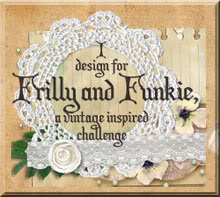 Today sees the launch of the latest challenge over at A Vintage Journey. Our host Nikki has chosen to ask us to share celebratory projects. "You can make something to celebrate Christmas if you wish but lets not forget about those December birthdays, anniversaries, Hanukkah and New Years. It may be fun to focus on celebrations other than Christmas, it's up to you." Of course given that this is a Tim Holtz focussed challenge we need to see/know what Tim has inspired in your project. And remember, as this challenge is generously sponsored by Country View Crafts there's a gift voucher for the overall winner. Three 'Pinworthies' will also be featured on our dedicated Pinterest board. Never one to swerve a challenge in the midst of all the build up to Christmas, I've created a card to celebrate a family birthday. Can you spot the theme? And I think the Tim Holtz influence stands out on this one too. Those linguists amongst you will already have spotted the wording. My French speaking son rather enjoyed getting something a little different this year! And of course the colour scheme for this was heavily influenced by the French Tricolore. The main basis of this design was a square of paper from the Tim Holtz French Industrial - the one with the 3" square panels. Taking the lead from my March Tim Holtz Tag I emphasised the squares with some simple hand sewing, adding ink to create extra faux dimension. Using the reverse of the same paper for stamping the little elements on (before fussy cutting/edge blending) ensured they blended perfectly. Didn't you just love the debossing on Tim's May Tag? 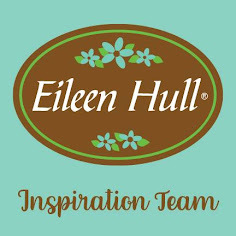 As a way of replicating the look in reverse I used the Lowercase Block Talk lettering and added some shadows with a Frayed Burlap Distress Pen. And of course there's those magnificent splatters (do this in a well covered area or you WILL get ink EVERYWHERE!!!) Tim's July 2012 Tag used alcohol inks to achieve a similar look and that was in the back of my mind as this came together. 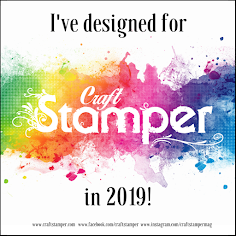 I hope you will join in with the 'Let's Celebrate' challenge over at A Vintage Journey and urge you to take a look at the amazing makes from my fellow Creative Guides for lots more inspiration. I'm back again tomorrow with the regular Saturday IndigoBlu post. What a wonderful b'day card for your French speaking son Jenny! love that splatter and all the wonderful layering of pieces! A fab card Jenny, and yes it has Tim's influence clearly there, yet is totally you, great idea to tackle the challenge like that! Terrific card with wonderful images and colours for your French Theme? Love those splashes and the colours are so right for a man or a female card. Just keep these stunning makes coming Jenny. Beautiful card Jenny and your splatters of red and blue give it a real wow factor. Another Stunner, Jenny, love all the wonderful elements you have managed to arrange on your brilliant card. I would really love just a "teeny, tiny bit" of your imagination and createativity. Wow Jenny, you really made this one special! I LOVE everything about it and those splatters POP! Makes me miss France...Paris! How Lovely! I'm sure he will love it. I love the neutral patchwork design with that big and bold splats of colors! Stunning card! Hugs! Great card Jenny - I love the entire thing and the spatters are so fab and festive. A fabulous card with wonderful details. Oh wow this is a wonderful vintage creation and very masculine for a guy. A fabulous card - love those firework explosions of colour - pure celebration! - and the use of those delicious French images and ephemera. Perfect use of the background paper too! Jenny, I love all the layering and those fabulous splats of color. Bet your son does too! What a thoughtful card to make for your son, as he is a French speaking young man. A perfect card for him. I love those splatters (just smack of a celebration!) and that hand sewing is such a creative touch. Love all of this card! Thank you for leaving such a sweet, head-enlarging comment on my blog:)!